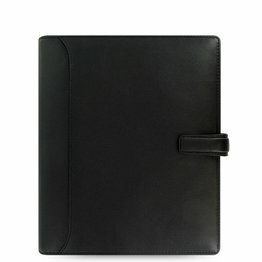 The business continued to grow and by 1987 had a retail network of 1250 outlets in the UK alone. 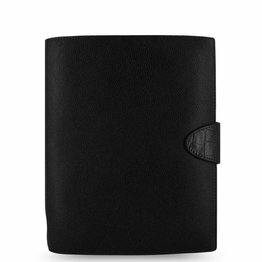 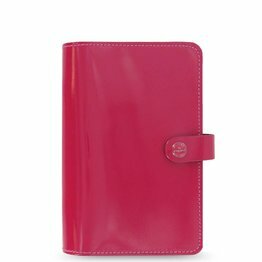 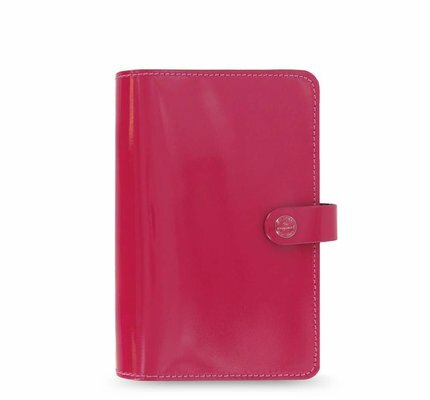 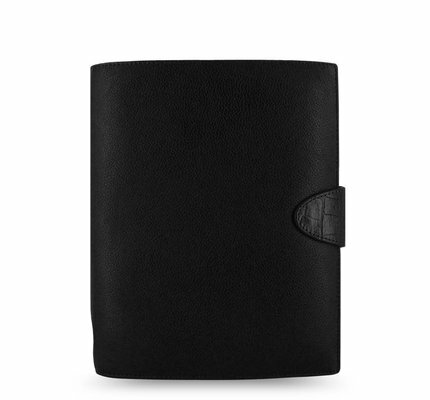 Prestigious stores around the world stocked Filofax, Harrods and Harvey Nichols in London, Neiman Marcus and Bloomingdales in the US, Bon Genie in Switzerland, Galleries Lafayette in Paris and Seibu in Japan amongst others. 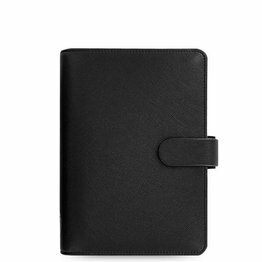 The Filofax personal organizer had developed from a simple loose-leaf diary and notebook into an indispensable organiser and status symbol for the 80s. 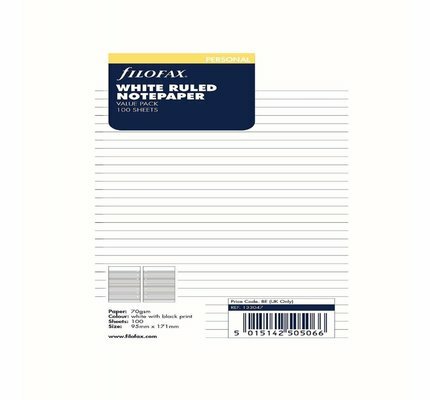 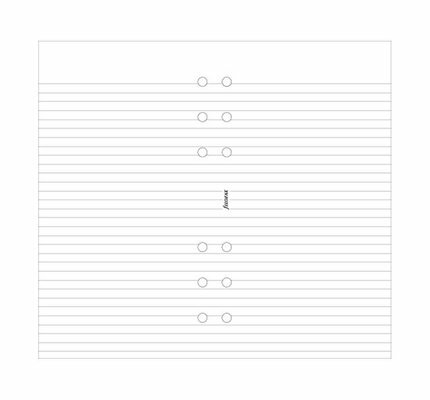 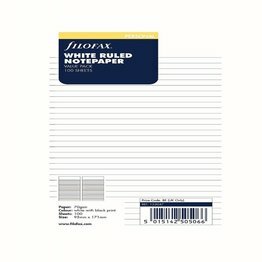 100 sheets of ruled white notepaper. 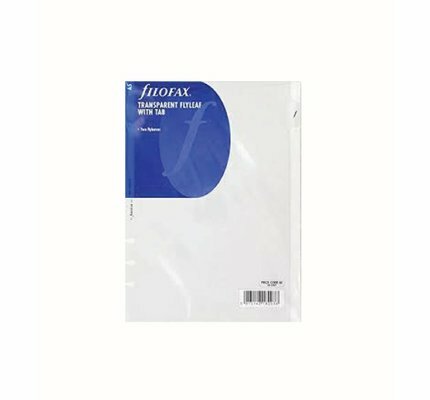 Store loose documents in this handy A5 transparent envelope with zip closure. 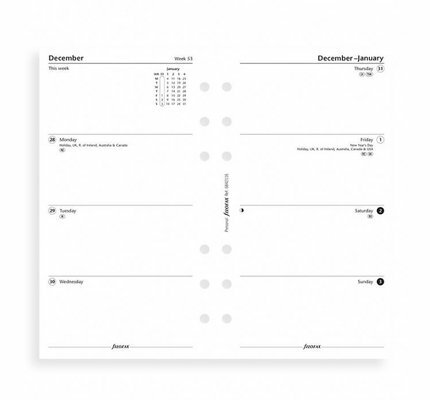 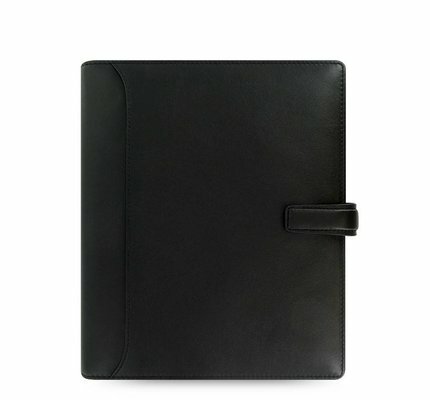 Organize your week in detail with this week per page diary with accompanying notes. 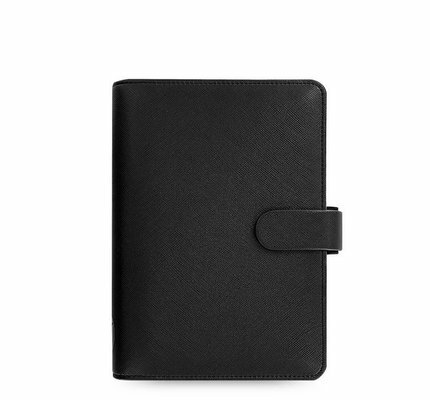 Get more space for planning your day with this two days per page diary in three languages. 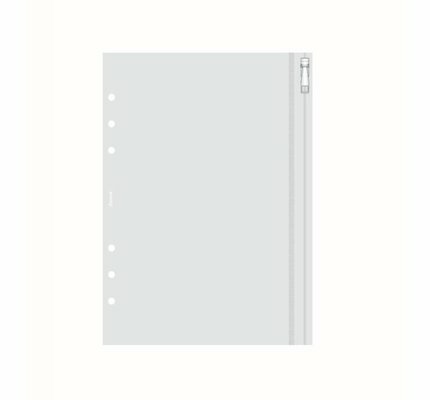 Protect important pages or use to quickly find a page with this moveable transparent sheet. 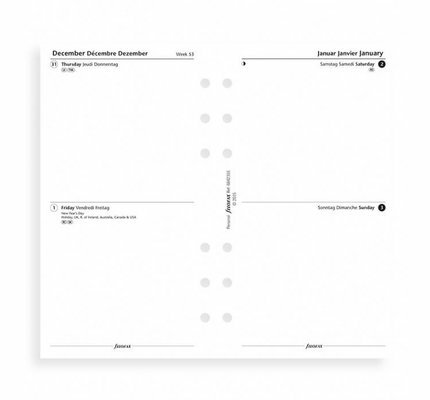 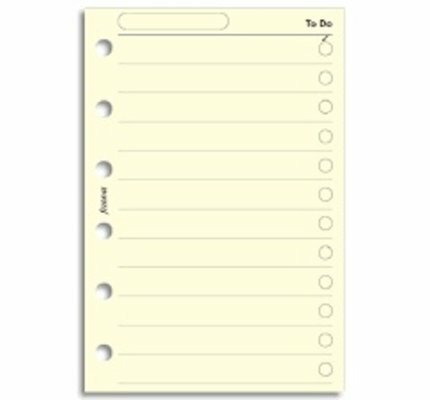 25 sheets of A5 To do insert with corresponding tick-box tracker. 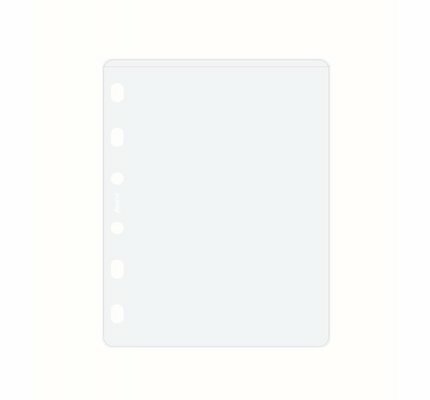 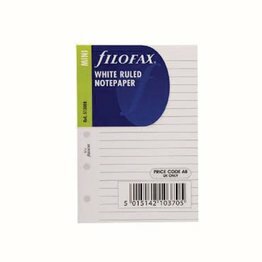 20 sheets of mini white ruled notepaper. 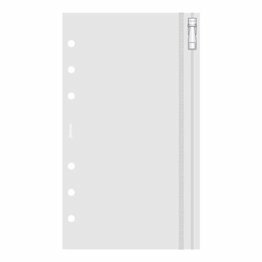 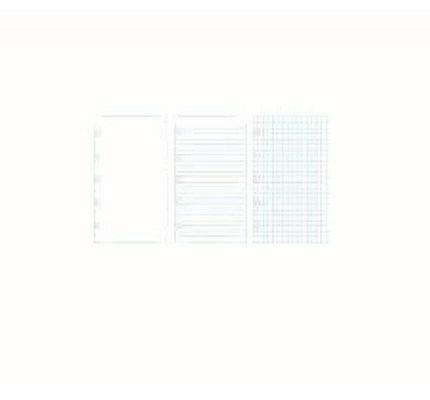 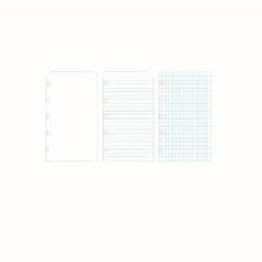 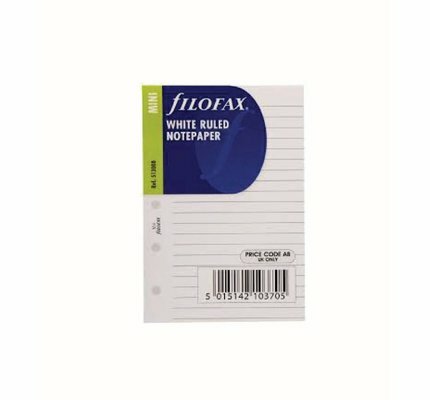 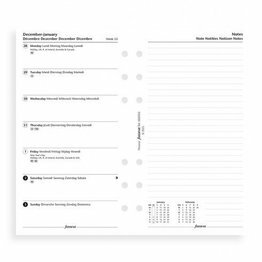 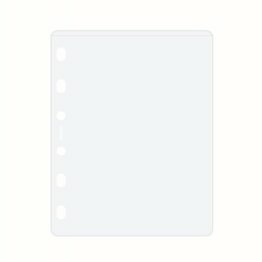 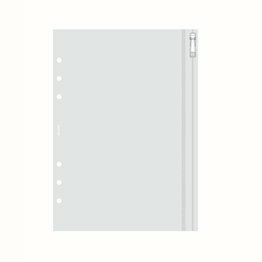 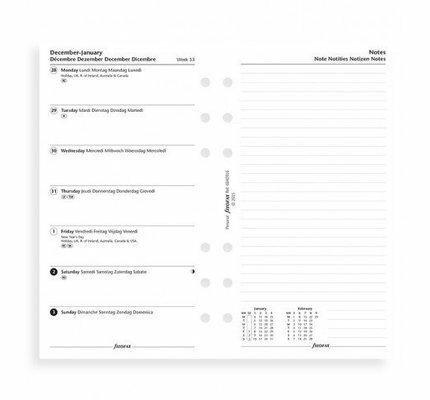 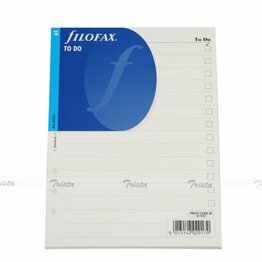 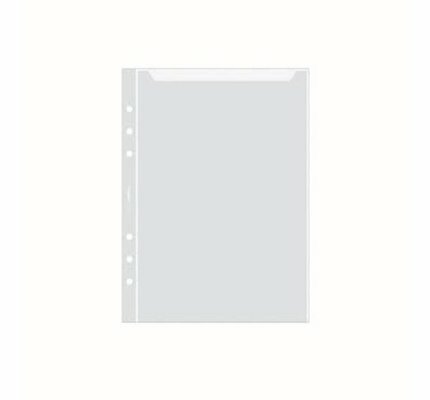 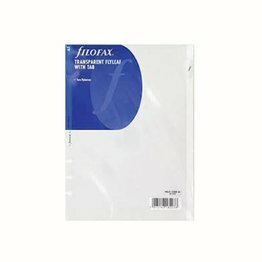 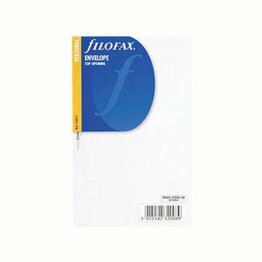 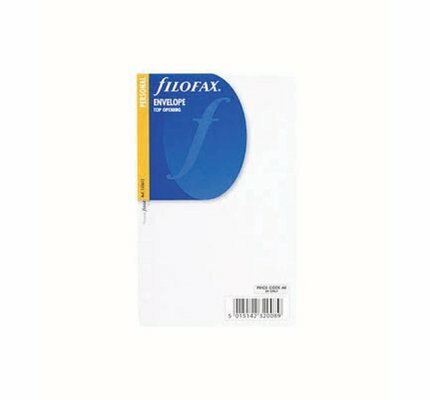 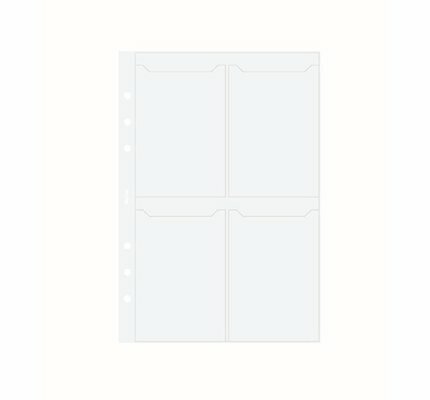 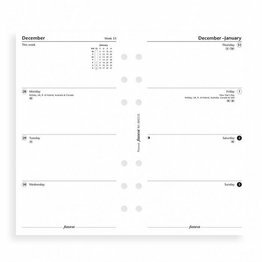 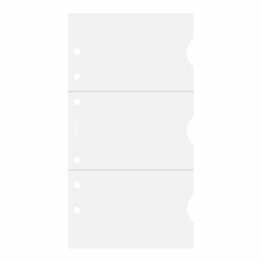 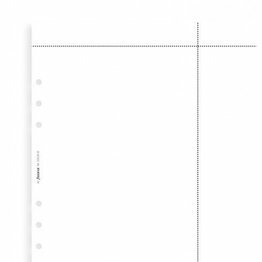 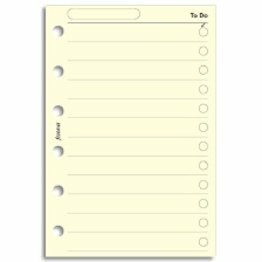 Filofax pocket size notebook paper refills - plain, ruled or squared. 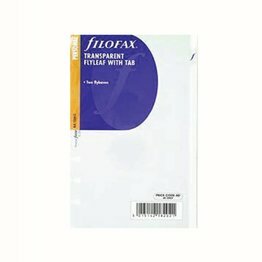 Store loose documents in this handy transparent pocket envelope, with top opening. 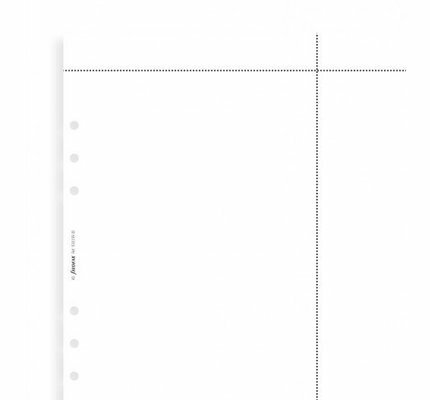 Store loose documents in this handy transparent personal envelope with zip closure. 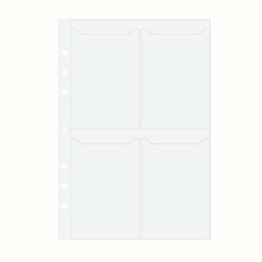 Transparent credit card holder to fit all pocket sized Organizers. Personal holds three cards.